NetEnt, one of the world’s leading provider of online games, has successfully launched their first MAX slot game product line. “MAX – Bigger Hits” will undoubtedly be played tirelessly in online casinos, since it appeals to various player groups. More importantly, new MAX games grant operators a lot of flexibility, giving them the power to fine-tune the gaming platform according to their specific needs. Both casual and MAX gamers will be able to enjoy the new MAX slot game product line. New sophisticated MAX games feature return-to-player mechanics, as well as NetEnt core gameplay features. 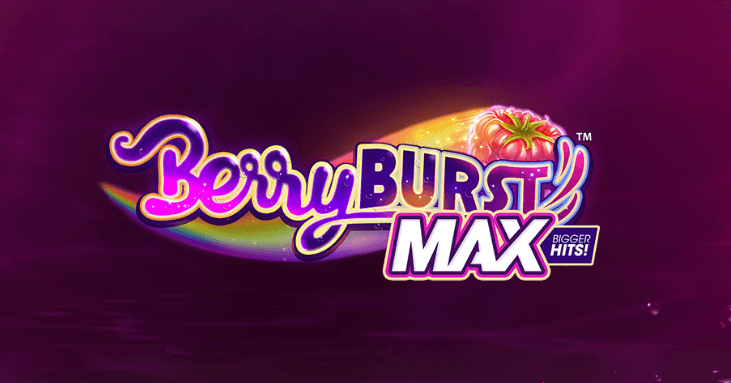 The double release includes BerryBurst and BerryBurst MAX and gives the operators the chance to add these tested and well-polished games in their portfolios via simple and affordable marketing promotion. NetEnt is well aware of the growing needs in the online casino industry. The NetEnt’s CPO Henrik Fagerlund said that the company is more than aware of the mentioned needs. He claims that the company wants to diversify their offer, understanding that their clients wish flexible games, ones they can cater to the various player groups. NetEnt claims that the MAX releases will add another rich plus to their already abundant portfolio. They are also confident that the company will continue to improve and meet the customer’s needs. Interestingly, the new MAX games were presented in one marketing push and as a one-game launch. Why? Flexibility. NetEnt is well aware of the fact that casinos attract various groups of people, and that these groups have specific needs. These groups of people can be put into two categories: casual and non-casual players. Naturally, casual gamers won’t be that much interested in high stakes, but non-casual, or should we say professional gamers will. NetEnt designed the MAX games in such a way that they meet these requirements. In this way the operators are given a chance to fine-tune the game according to their needs. NetEnt is a premium provider of games for online casinos. Unlike old-school providers, NetEnt appeals to the modern crowd and strives to meet their requirements. The company exists for over 20 years, and has, during that period, nurtured and established a strong corporate structure. The company achieved a terrific growth over the past five years, thanks to their competitive and bright staff. NetEnt focuses on innovation and technology, and are well aware industry’s rapidly changing needs. It is for that reason that NetEnt hires only flexible, skilled and passionate personnel, especially those that strive in high-paced environments. The company avoids stiff and rigid values, as well as old-fashioned hierarchical systems. In 2017, the NetEnt gaming system handled over 41 billion online transactions, which is more than impressive. The company has more than a thousand employees, and provide their games to more than 200 casino operators online. They developed over 200 games, with the addition of the new MAX games. NetEnt is placed on Stockholm NASDAQ as(NET-B). It operates globally, with offices in Stockholm, New Jersey, Kiev, Malta, Gibraltar, and so forth.